The UK Government and Westminster in general is not seeking an entire removal of the Northern Irish backstop, but rather amendments to the “insurance policy” instead, according to UK Prime Minister Theresa May. The prime minister was speaking in Belfast today (Tuesday, February 5) as part of a trip to Northern Ireland, and fielded questions following her address. 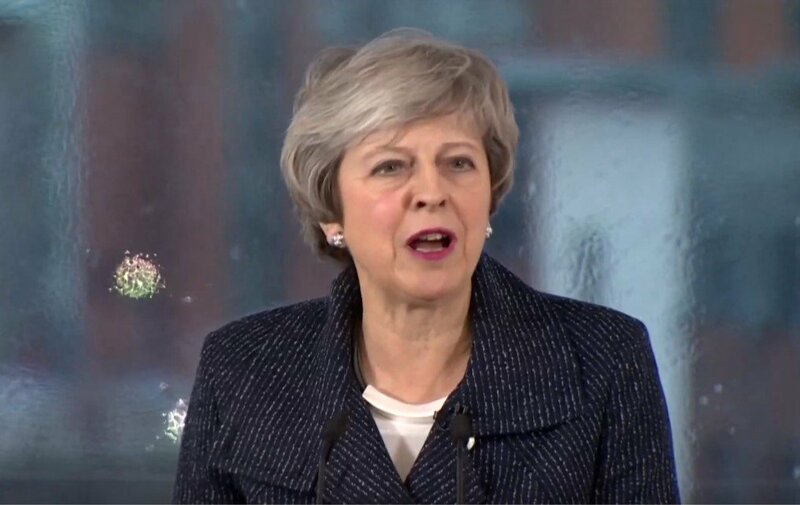 Clarifying the UK’s position in terms of its impending departure from the EU and implications for Northern Ireland, May stressed that there will be no hard border in the event of a hard Brexit. “I’m not proposing to persuade people to accept a deal that doesn’t contain that insurance policy for the future,” May said. The prime minister said that parliament believes “there should be changes made to the backstop”, adding that she is working both with politicians in Westminster and with the Irish Government and EU to “find a way that enables us to maintain our commitments that we have set very clearly, for no hard border”. “But to do it in a way that provides a withdrawal agreement and political declaration for the future that can command support across the House of Commons and therefore that we will be able to ratify with the European Union so that we leave on March 29 with a deal. “There’s no suggestion that we are not going to ensure that in the future there is provision for this – what’s been called an insurance policy, the backstop, that ensures that if the future relationship is not in place by the end of the implementation period, there will be arrangements in place to ensure that we deliver no hard border. “Our commitment to that remains. What parliament has said, what the House of Commons has said, is that they want to see changes to the backstop as it currently exists within the protocol as part of the withdrawal agreement. The prime minister said that a number of ways of achieving this have been looked at including “alternative arrangements, proposals from MPs and “necessary” legal changes. “But the commitment to no hard border absolutely remains,” May concluded.